Portland Water District works 24 hours a day, 365 days a year keeping our region's water clean, safe and healthy. At this very moment, millions of gallons of wastewater are being recycled through PWD's four treatment facilities before flowing back into our environment clear and clean. Wastewater treatment is a critical component of our community. And being a good neighbor by controlling potential odors is part of normal operations at our wastewater plants. Our responses to odor complaints over the years has resulted in changes in operations and the construction of odor control facilities that cover processes and filter air. If you experience odors near any of our plants, please contact us with the date and time of odors and a brief description. The Portland wastewater facility actually produces two end products: millions of gallons of clean water, which flow in Casco Bay, and hundreds of tons of treated biosolids. Portland's wastewater treatment facility is Maine's largest. Eleven pumping stations located around the city help to move wastewater to the facility. 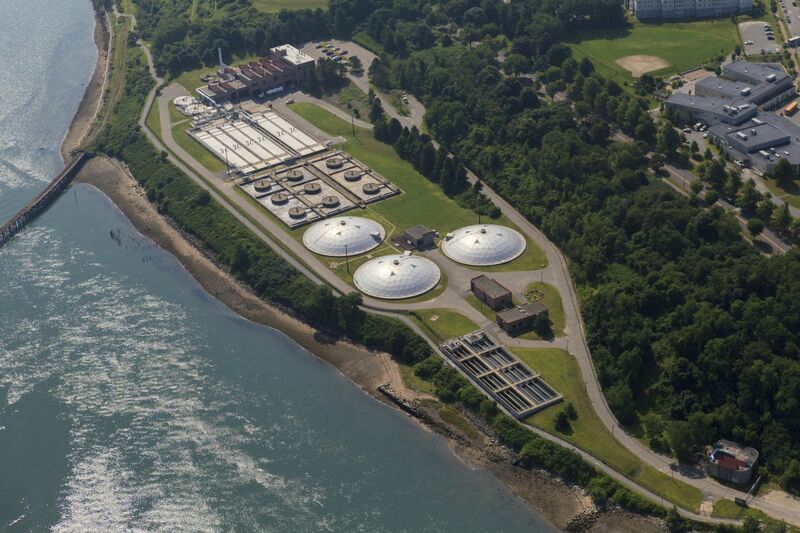 Since first opening in 1979, Portland's facility has been expanded and modified in order to handle more wastewater and provide additional protection to Casco Bay. In fact, the Portland facility is key to protecting the entire Casco Bay watershed. Four million tons of septage from private septic systems in Naples, Casco, Bridgton, Yarmouth and others are received for treatment every year. Yes, Maine's largest wastewater treatment facility is working efficiently and effectively to keep our water clean, safe and healthy. 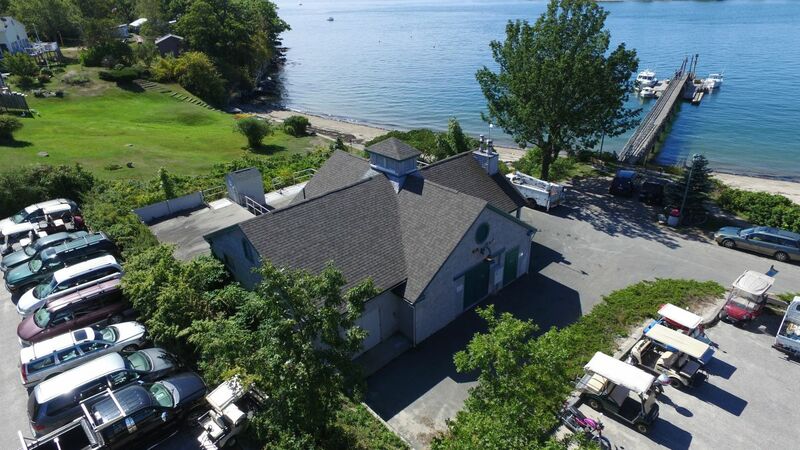 You can even see that for yourself, because right around the corner from the facility is Portland's East End Beach, which is once again safe for swimming and boating. And just on the other side of the Eastern Prom, Back Cove has become a popular place for exercise and recreation. The Portland Water District relies on wastewater treatment facilities in Westbrook to improve the quality of water in the Presumpscot River. We also advise and inspect businesses and manufacturers that could discharge industrial wastes into the River. Our goal, of course, is to make sure industries capture the waste they create before it poses a problem. Just as the Portland Water District is committed to keeping Casco Bay as clean as possible, we're committed to keeping wastewater pollutants out of the Presumpscot River. 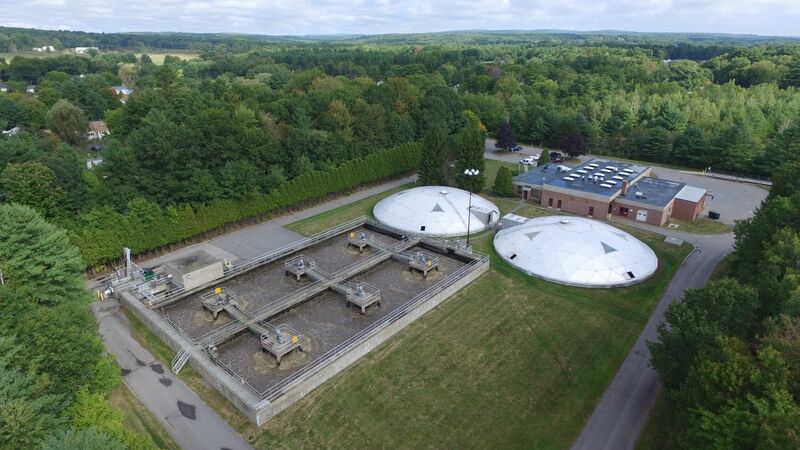 Our facilities include 12 pumping stations which serve areas of Gorham and Westbrook. These stations collect wastewater and pump it to the Westbrook Wastewater Treatment Facility. Thanks to the efficiency and effectiveness of the Westbrook treatment system, the Presumpscot River is regaining its ecological health. Tours arranged by request. Contact sebagolake@pwd.org for more information. Sludge extracted from Cape Elizabeth's wastewater is trucked to Portland for dewatering and final treatment. Because we live on the shores of one of Maine's most beautiful bays, wastewater treatment is a serious concern for communities of all sizes. Treating wastewater in Cape Elizabeth is just as important as treating the city of Portland's waste. 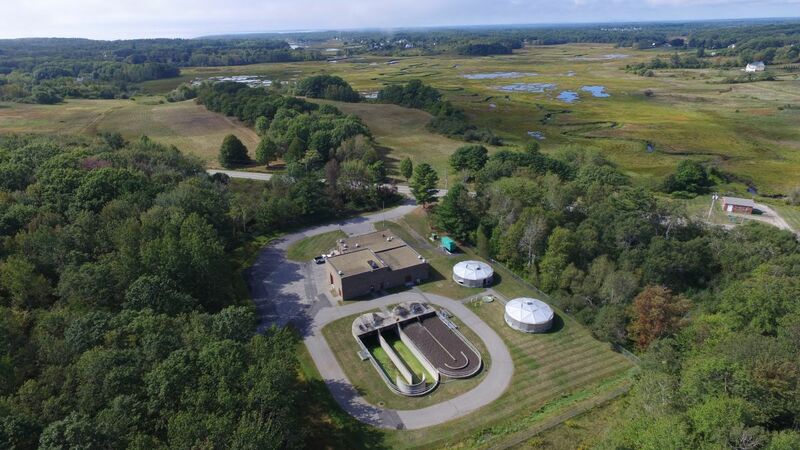 That's why the Portland Water District designed and built a new facility in 1987, along with 11 pumping station, for the southern and central parts of Cape Elizabeth. (We collect wastewater from the northern part of town and pump it to South Portland for treatment.) Although each of PWD's four treatment facilities is slightly different, all accomplish the same task: cleaning waste from water that will be recycled into our environment. Nothing is more important on an island than clean water and a clean environment, and the PWD is doing its part to assure both on Peaks Island.